So they don't care that we are not Russians, but for sure they care how we call them in our own language? At the end of the day, if Poles decide to change Polish language it will be our and only our own decision. if Poles decide to change Polish language it will be our and only our own decision. There was this Bambino ice cream, though - a distant memory of my early childhood. So they don't care that we are not Russians, but for sure they care how we call them in our own language? Indeed, that logo with the profile of the black kid is something that people born in the 80's will never forget, I liked the half ones, I used to put a stick in it to make an ice cream on a stick, I also did it with the big ones but it could be challenging in a very hot weather. That logo would most likely be considered racist now in a lost countries like Sweden, sad. I wonder what's the idea behind the logo, anyway. No one thought it was racist then. Neither did anyone think they were too white to buy a product with such a logo. I bet someone will 'illumunate' me soon. To me the black kid was symbolizing hot tropical climate where the black people come from and where it's hot you enjoy a lot of ice cream. Hahaha first time I heard that. People get way too butthurt over stupid stuff. I chalk it up to not having enough responsibilities and more important things to worry about. I guess when you're on welfare living in moms basement or government housing you have more time to complain about things that offend you. I know a person who's last name is Murzyn, He's an insurance agent with a big sign across his building. ***** Murzyn Ins. I laugh every time I go past there. Is malpa racist in Poland?. Yes if its used against a black person negatively. No if its used in other ways. For example when I was younger I was in polskie harcerstwo and people all had nicknames one of whom was malpa. Its often used to insult African soccer players at matches. Not just in Poland but in Ukraine Russia serbia and many other e euro Slavic countries. The soccer hoolis tend to be a lot more openly racist than most Slavs tho. of course you mean the małpa word not the murzyn word, or? Yes malpa has a racist connotation. Murzyn does not. It literally means monkey. That tends to be the most common racial insult towards black in e europe esp Slavic countries. I feel sorry for the black players. They train and work to be a valuable teammate and yet they still are called monkeys and have bananas thrown at them during games. A Jerusalem soccer team had a similar issue. They recruited two Chechen Muslims and even though they scored goals and were all around good players the Israelis wouldn't accept them and taunted them non stop. When one of the Chechen players scores a goal the soccer fans Or more specifically ultras left the game in protest right after. They didnt come back for future games. A small group of a few dozen supporters created some anti racist group and cheered the team on but their numbers were a fraction of the ultras. Attendance at games was basically non existent as ultras tend to be the vast majority of fans that go to these kind of regional league matches. One of thebultras did come but only to unroll a banner which read this is the cost of betrayal. The ultras criticized the management for having 'arabs' on the team. The 2 players were chechen, not Arab but that's another story. One of the other players, an Argentinean catholic, didn't receive the same treatment and stood up for the chechens. Well eventually they got rid of the Chechen players. No seats were selling and the team was totally demoralized. They went from being one of the top ranked teams in their league to one of the lowest ranked. An acquaintance from Poland arrived in the us and want to the doc with my family and i. He tried to explain his condition or whatever to the doc in very broken english as he was a fob. The md was a black guy. So after some frustration he said 'ta malpa nic nie rozumie!' meaning this monkey doesn't understand anything. The black doc replied 'malpa rozumie, malpa rozumie' meaning the monkey understand the monkey understand. The guy was so embarrassed but the doc wasnt like all that angry bc he understood the guy was very frustrated. Eventually they were able to communicate. Apparently the black doc spent some time in Poland and picked up quite a decent vocab. Apparently the black doc spent some time in Poland and picked up quite a decent vocab. I'm Australian and my parents moved to Poland because of my dad's job. I've lived in Poland for 10 years now and finished my post-graduate studies in Poland. I was born in Australia. My mum's entnicity is Japanese and my dad's entnicity is Indonesian, Dutch and Indian. I have a brown skin tone which never became a problem in Australia until i came to Poland. Apart from constant stares which i can mostly dust off, what irks me the most is the fact that they often refer to me as Murzynek in most public places and various cities in Poland. When i try to politely tell them that i am not an African and that perhaps they shouldn't use that word, they a quick to defend themselves and they rattle on with long winded comments about the poem very much like the ones i have seen here in this forum. In my first year here, i largely ignored it but then it was getting a bit annoying when they start to sing songs about it whenever i wait for the bus or happen to walk in the park. As for the cake. To me, a cake is a cake. But if Poland ever want to export their traditional Murzynek, they might want to reconsider a name change. The poem from my neutral perspective (i am neither African nor Polish) is a little derogatory. i get it that the writer knew no better then. Perhaps a little ignorant on the lines where he says the boy would not wash himself with soap for the fear of becoming white. It is OK for an African person of dark skin to make joke of his nature but if others were to come up with such lines, it is pure ignorance and pride. Remember that ***** in many other countries is considered impolite these days to be referred to a person because of the meaning with which the word was associated with in American history. Therefore, some caution is required when one is travelling about and in case of the common 'slip-of-the-tongue' can be potentially offensive in a foreign country. Poland is a beautiful country and people are generally nice but such ignorance lives on and honestly, i am quite tired of being referred to in this way. I'd have to add on and say that things are a whole lot better with the younger generation and my university mates. Poles don't care. Remember, you guys came to Poland - Poland didn't come to you. There's going to be different types of people everywhere you go including PL. There are many more expats now in the major cities so I'm sure you can find people to be friends with. Perhaps a little ignorant on the lines where he says the boy would not wash himself with soap for the fear of becoming white. This is satire, ever heard the word satire? It is OK for an African person of dark skin to make joke of his nature but if others were to come up with such lines, it is pure ignorance and pride. So you give a privilege of making certain jokes to the people of color and take it away from white people? You are a disgusting racist and Poland is not the place for racists like you that's why you have unpleasant time here. My mum's entnicity is Japanese and my dad's entnicity is Indonesian, Dutch and Indian. I suppose you are not as black as hebany, but at the same time you may happen to be as small as a Japanese and on top of that you might have curly hair, so people in Poland might amusingly think of you as "murzynek" which thinking is indeed influenced by this widely known poem. The word 'murzyn' is not racist, even if some circles of the Polish society (liberal progressives who hate all things that are traditional) may want to try to assign such a connotation to it. The word 'murzynek' is a diminutive of 'murzyn' which makes it even more distant from ever filling the criteria of a racist word. defend themselves and they rattle on with long winded comments about the poem very much like the ones I have seen here in this forum. This is a true reason and not just a quickly thought of fake excuse. As for the cake. To me, a cake is a cake. 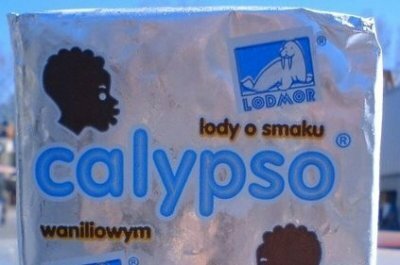 No one in Poland ever thinks of black people while using such a name. No need to change this name in case of exporting this product. The only reason for that could be the difficulty in reading and spelling it by foreigners. You look at this poem through the eyes of a contemporary man which is an entirely wrong perspective. At the time it was written the perspective of today would have been judged totally crazy and totally bizzare and would have simply been unimaginable. The autor of the poem was himself a man of Jewish origin. The poem denotes in fact a total acceptance of a black child in Poland and its idea is to show to the Polish young readers the fact that all children are the same irrespectively of the skin colour. The line about washing is in fact a good-natured allusion based on the observation that children would want to wash themselves rather reluctantly and this black child Bambo is no exception. It is indeed an anti-racist poem or, better say, a poem encouriging acceptance of people of various backgrounds (not even of black skin colour since I hardly doubt the colour of the skin was even contemplated by the author with black people being an extreme rarity in Poland of that time). Interesting how overly sensitive Poles are commenting here again. I suppose they just too busy being overly sensitive to read my comments properly about my say (as a non-African) person on the poetry being generalized to just about anyone who is not white in Poland. Says a lot about this post-communist, East European country. Comments about Poland didn't come to Poland and Poland came to you - well, it was not my choice that my father had to relocate. I had little say in it. My hair is straight and stop making further comments about the colour of skin unless those Poles commenting here paint themselves brown and walk down the street for a week. Let's see how that works out for you just to see how people treat you here. Again, i am not African and i am tired of people referring to me as one just because i don't look white enough. Though i feel sorry for such a poor taste in choice of children's poetry in Polish schools, satire or otherwise is not a term young children can deal with. Anyway, I'm sure few teachers in Polish schools will add footnotes to that poetry. Sorry but 'that term' is completely normal. Deal with it. No matter how you want to paint it it's not racist. Ppl can use it that way as any other word but it's neutral generally. So you're of European and Asian origin, yet you constantly get called murzynek by random Polish people? It obviously happens so often that you had to post here. Says a lot about this post-communist, East European country. I think he is not another troll here, but just a troll which comes here on a regular basis under different names and using different stories for his trolling. So there comes a time now to start mocking him for his trolling rather than explaining things to him. Notice how he insists on not being African in almost every post of his. So what's wrong about being an African, you silly troll? What do you have against the Africans, racist? You are racist since you defend yourself so much against being called African by Polish people. Why does it hurt you so much when you are called African? Is that because you judge African people to be inferior to your Dutch-Japanese-Indian race? Yes, you certainly do, but instead of openly admitting to the world that you are racist to the core, you browse Polish poetry for children to find out a poem that may "illustrate" your pathetic claims on the racist character of that poetry. And tell us when are you going to make a trip to Africa to verify if you are judged African by the African people themselves, you racist Dutch-Japanese-Indian-Australian clown? Nice try but the only over sensitive person here is the one who complaints about being called murzyn. unless those Poles commenting here paint themselves brown and walk down the street for a week. My Polish friend often travels to Africa for business trips and he is constantly being stared at for being white and guess what, he doesn't give a sh1te and guess why, because he isn't overly sensitive like someone else here.